Manufacturer of a wide range of products which include tantalum sheet, tantalum tubes, tungsten plates, uns s31254 round bars, vanadium metal and tantalum pipe. We are the leading manufacturer of Tantalum Sheet to our valuable customer and our product is made of good quality. 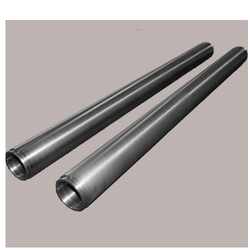 We are the leading manufacturer of Tantalum Tubes to our valuable customer and our product is made of good quality. We have firmly positioned ourselves as leading manufacturer, exporter, trader & supplier of Tungsten Plates. The offered tungsten plates are used in various construction industries including like automobile, aerospace, electrical and various other for different applications. These tungsten plates are accessible in numerous sizes & finishes as per the needs of customers. Made up of high grade tungsten materials, these plates are offered to our clients at feasible prices. Riding on unfathomable volumes of industrial expertise, we are engaged in offering an excellent assortment of UNS S31254 Round Bars. 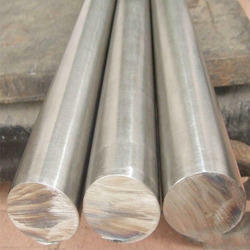 The offered round bars are manufactured by using best quality materials under the observation of skilled professionals. Our range of bars is well demanded for features such as tough in construction, high durability, supreme corrosion-resistant and many more. These round bars are available in sizes, shapes, dimensions and lengths. 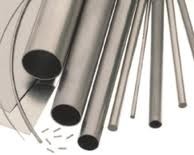 UNS S31254 is a fully austenitic, 6% molybdenum super duplex stainless steel, used widely in seawater cooled power plant condensers.The alloy can provide excellent resistance to stress corrosion cracking allowing tube cold forming and may be used without the necessity to re-anneal at testing up to 120°C. In line with clients' diverse requirements across the country, we are offering an excellent range of Vanadium Metal. Our given vanadium metal is used in the production of steel and hence finds application in many sectors such as construction of buildings, making of aircrafts and ships. Our offered vanadium metal is given in several specifications in accordance with the customer’s needs. 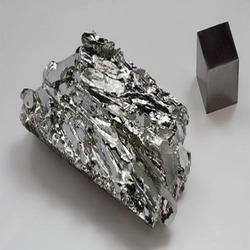 As well, we also provide the vanadium metal within committed time to the clients. 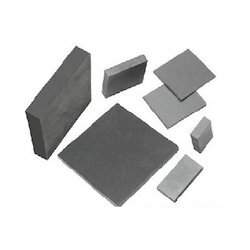 Simplex Metal & Alloys supplies Tantalum which has good thermal conductivity, and is used is in the manufacture of heating elements, vacuum tubes and other high temperature parts. Another major use of Simplex Metal & Alloys tantalum is for electronic components, and due to its absorption properties, tantalum is an excellent getter of residual gasses in evacuation tubes. Tantalum films provide very high capacitance per volume allowing miniaturization of electronics and circuitry. Tantalum capacitors are use in computers and cellular phones. Tantalum is also famous for its resistance to corrosion by acids; in fact, below 150?C, Tantalum is almost completely immune to corrosion by aqua regia. Due to its resistance to attack by body fluids, Tantalum provides an excellent material for medical devices. We can cut, slit, shear, or center less grind Tantalum to your exact specifications, and we also have tremendous versatility when it comes to custom sizes, packages, and unusual materials. Simplex Metal & Alloys supplies the highest quality special purpose metals and alloys for Aerospace/Aviation, Defense, Electronics, Magnetic, Medical, Lighting, Optical, Telecommunications, Ceramics, Heat Treating, and other high-technology industries.